Ryuichi Nakamura has appeared in a lot of indie-pop bands over the last few years — including Batman Winks, Boyish, Easel Easel and several more. And now he’s stepping out for his own project Fragile Flowers. Well, with a little help from his friends. 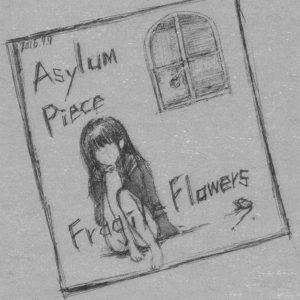 Asylum Piece*, his first release as this project, features a lot of familiar names in the linear notes, at least to those who have been knee-deep in Japanese indie-pop since 2010. The second song hear features Azusa Suga from For Tracy Hyde, and fittingly it features a squelchy electronic assist that gives it a summery dream feeling, while later on the bassist from the band Michiganized pops up to give Fragile Flowers a little extra force to it. For all the guests — hey, members of Boyish on the sparkly “2nd Love, 4th Love!” — Nakamura still guides this songs forward, his voice at the center of each galloping one. And all that time spent in the indie-pop ranks results in a solid listen. Get it here, or listen below. * This comes in a “True End’ (above) and a “Bad End.” I’ll cop to not being able to tell what the difference is, but…hey, check ’em both out.